Department of Chemistry, BBK DAV College for Women organized a DBT sponsored workshop on “Microscale Analysis in Chemistry”. The resource person for the workshop was Dr. Subramanian Murugan, Retired Professor, Department of Chemistry, South Travancore, Hindu College, Tamil Nadu. Dr. Murugan had lively sessions with the students of B.Sc. Medical, B.Sc. Non. Medical and B.Sc. Biotechnology. During the sessions, he introduced new methods and techniques to perform experiments at microscale level. These experiments were performed with very minimum quantity of chemicals. The objective of the workshop was to use green approach and to reduce consumption, wastage of water, chemicals and electricity. 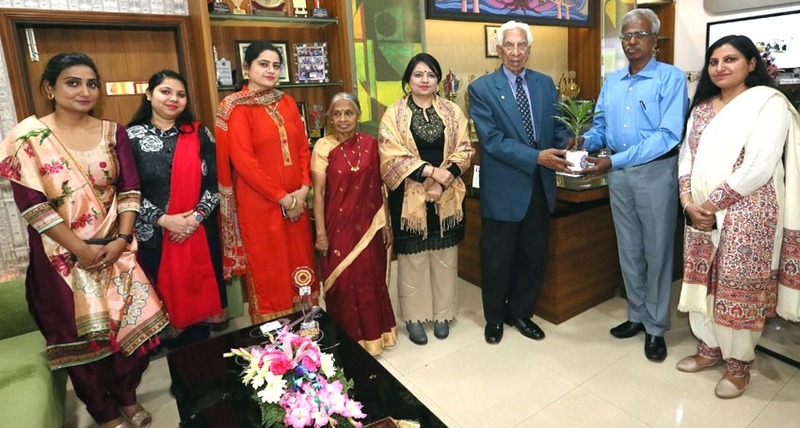 Dr. Pushpinder Walia, Principal of the College honoured the guest with a memento and thanked him for introducing new concepts of conserving resources. She also congratulated Dr. Poonam Khullar, Head of Department and other faculty members – Mrs. Vandana Gupta, Mrs. Anu Saini, Ms. Rajpreet, Ms. Ravneet Kaur, Ms. Prabhjot Kaur and Ms. Aastha for the success of the programme.